So that is it, it is all over again for another year! I cannot believe how fast that all went, can you? Needless to say, many congratulations to Sweden who have won this years contest and are bringing the trophy home only three years after their last win! 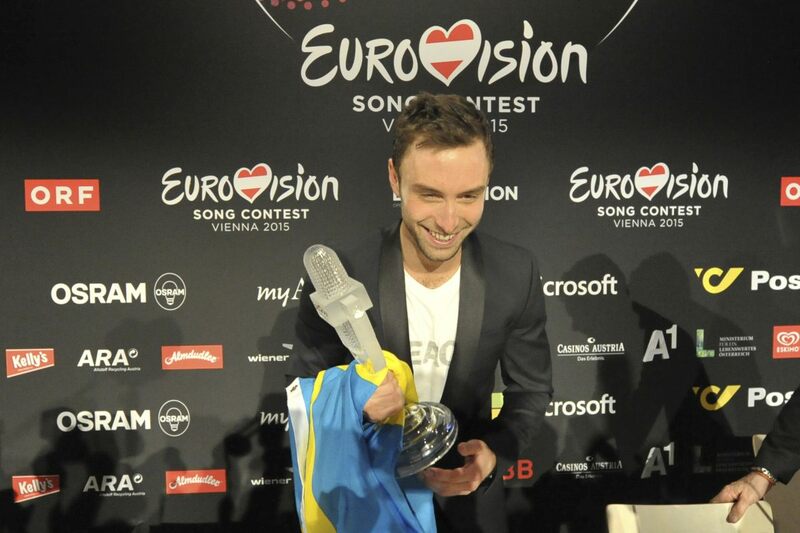 I promise this is going to be the last Eurovision related blog from me for many months! This is just my views on the full results from yesterday and of the show itself, which over-ran very badly. So the show last night was great, in a way I felt that the songs run through went very quickly and despite having many ballads it didn’t feel like we were in a lull at any point. When we got to like Song 25 I felt like it had gone very quickly, which is surprising when you consider we sat through a grand total of 27 songs! I did think Sweden performed really well but I think Italy really won me over yesterday and I was rooting for them in the end, what a breath-taking performance! it all started to go wrong in the lead up to the results, there were many technical issues rearing their head for some reason. During the voting, we lost not one, not two but three satellite feeds from different spokespersons throughout Europe. This was rather embarrassing and it did cause the show to look very amateur in my opinion, it also made it over-run by 30 minutes! The results themselves really surprised me. There were some massive shockers in there that people may have missed the significance of. I know we should treat this as a music competition and to not let politics get involved but I did really feel the point when Lithuania awarded Russia zero points was a massive turning point in their stance towards their allegiance with the EU. You have to bear in mind that at the time these points come in, there was a three-horse race at the top (Russia being one of them) and for Russia to get nil points and the others to get high points, it really stuck out like a sore thumb. Is this going to cause anger from Putin’s side? What was also interesting and actually rather magnificent is how well the split Jury and Tele-votes actually make a difference in the voting. Greece and Cyprus every year (and I mean every year) have awarded each other 12 points. This is down to very strong cultural ties between the two countries and because they tend to share the same music scene. This year, however, both Cyprus and Greece did not give each other the maximum 12 points, despite both being featured in the final. Looking at the full split results when they were released by the EBU, Cyprus awarded Greece the top vote in the tele-votes (the votes cast by the public phoning in) but the jury from Cyprus only awarded Greece the 6th position, thus making their overall score slip. History has actually been made here by the fact that this has never happened before, I never thought I would see the day! So getting back to our winner, Sweden! They will be delighted to win again, only three years since their last win in 2012 and bringing the contest back to Sweden for another great year. The song was performed well and I am sure the public all over Europe seeing the performance for the first time (the little puppet man!) really won them over. It is a great contemporary song and I hope that this means that next year we won’t get the vast array of ballads that we saw this year. You can win with an uptempo song too. It wasn’t quite the landslide win, not really anyway, not to begin with! Russia was leading the votes until 3/4 of the way through the voting, and it was a great moment to see when Nigella Lawson delivered the results from the UK, and Sweden then finally took the lead all the way up to the end. Russia ended up second overall, and Italy third. I would have loved to have seen Italy overtake Russia towards the end but it never happened, but it was still a great night for them anyway. It was also great to see Belgium and Latvia (and Australia) do so well, each act really deserved it and these countries never tend to do well in the competition so these results will hopefully ignite a big interest for them. Spare a thought for both Austria and Germany (and Switzerland too!). All three German speaking countries did terribly in the contest this year. I have absolutely no idea why, I am sure it was just a co-incidence but both Austria and Germany ended up last in the final. To rub salt into the wound too, they also came last with nul points. This is actually the first time we have seen nul points in the final since 2003, when you will remember our UK act Jemini coming last (deservedly so!) with such a score. Both songs were sung beautifully and in Austria’s case, it was actually a really classy song and I thought it would do better. I think the reason they probably came back with nothing is simply because they got forgotten and washed up in the scores being awarded to other countries. I mentioned Switzerland too as they came last in their Semi-Final, really disappointing! So Sweden next year, I cannot wait for it! I, of course, will be there in some shape or form. I missed my first contest this year after attending the previous two years and I actually felt really guilty in a way for not being there. I cannot tell you how great the atmosphere is when you are there, not even at the contest itself, but just being in the city at the time. It really promotes a positive energy and it’s great to see people from all over the world all feeling the same way. I personally hope we are going to Stockholm next year, a fantastic Capital city, and the Globen Arena (which hosted the 2000 Eurovision Song Contest) is a fantastic venue as well. A great show but an embarrassing situation when you realise the UK is the only novelty act. Something needs to change!